The Mentawai islands sit just West of Sumatra. This archipelago is made of four large islands: Siberut, Sipura, Pagai Utara and Pagai Selatan. There are plenty of waves, some of them already world famous such as Hollow Trees (aka HTs or Lance’s Right), Maccaronis, Rifles, Greenbush or Nokanduis. The wind and wave conditions of the Mentawai are what make this area a true surf heaven on earth: perfectly shaped reefs, light winds and consistent long distance swell. On top of that, areas like Playground host over lots of surf spots to satisfy surfers of all levels in any wind/swell/tide combination. 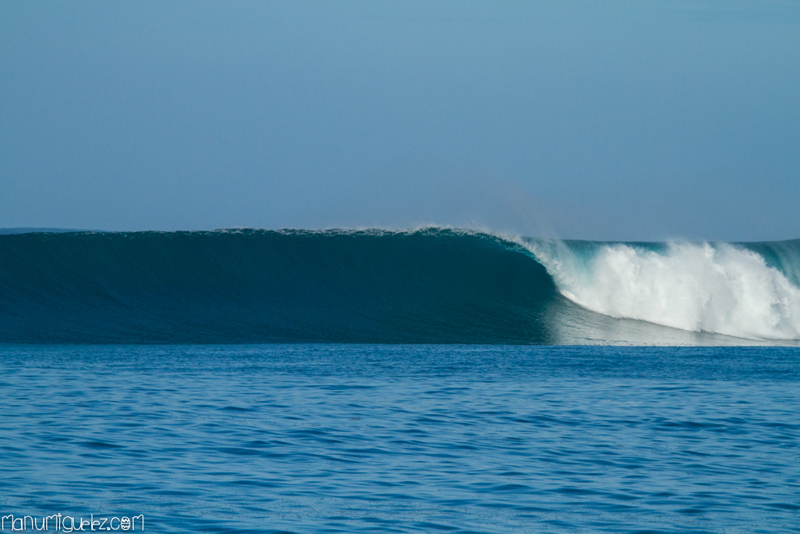 The Mentawai islands are surfable (and surfed) year round. Best time of the year is April-October, with more consistent and bigger swells. It is usual to surf one or two swells per trip during those months. 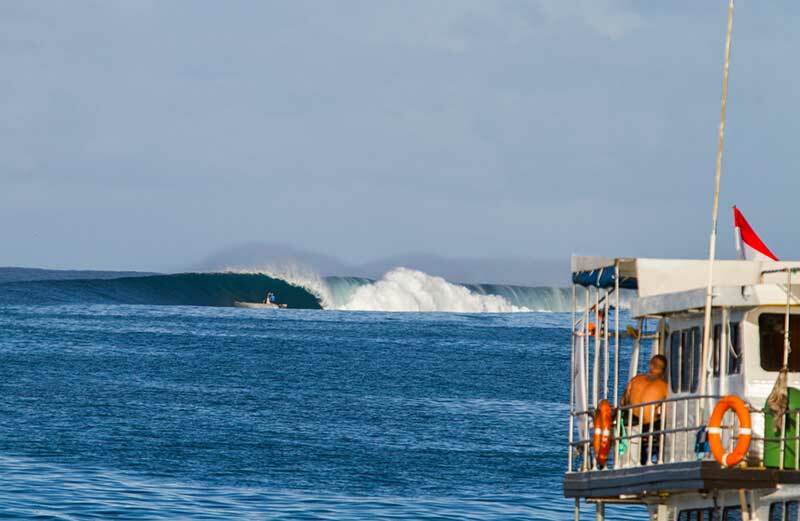 During the rest of the year (November – March), perfect surf is also available. Swells come from further South than during the high season, and travel longer distances which results in a better quality (higher periods). The winds are very light and there are hardly any charters operating in the area while most of the resorts are closed. It’s the perfect time of the year to surf perfect waves with hardly anyone else, although the waves tend to be smaller than during high season. Our large experience in the islands off Sumatra and the different forecast sources we work with, guarantee that we always in the right place at the right time. And if the break we are surfing gets crowded, we take our stuff and go to another spot. We normally take advantage of nighttime for long crossings (including from and to Padang) so we can surf as much as possible during the daytime. There is no fixed itinerary, as each trip is different according to the wind and waves conditions and surfing level. The Mentawai islands are in West Sumatra. The place consists of 4 main islands of Siberut, Sipura, Pagai Utara and Pagai Selatan. In each of them can crowd surf different waves, some of them world famous as Hollow Trees, Macaronis, Rifles, or Nokanduis Greenbush. 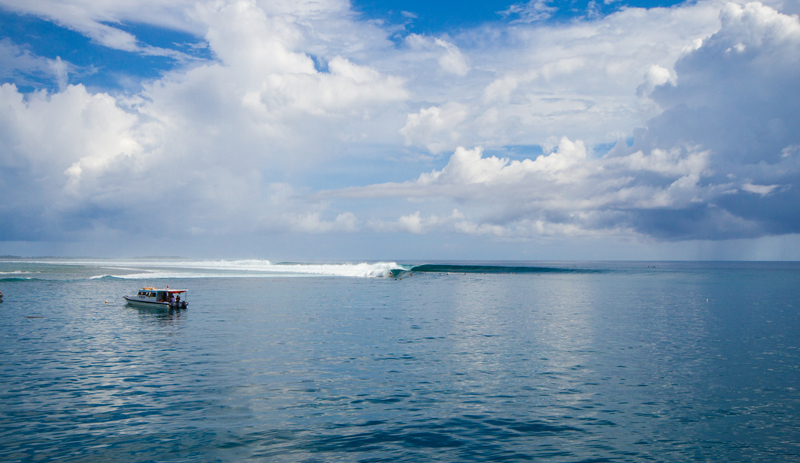 The trip Mentawai spans more Telo and Telo Islands. This way you can surf some of the famous Mentawai waves as the world-famous Macaronis, Lance’s Right, Rifles, Nokandui and many perfect waves that hide Telo islands. The trip Telo more Nias covers the entire Islands Telo and Nias including Hinako Islands. In Telo there are plenty of waves for all levels and conditions, and usually is very little frequented by boats and with difficult access by land area. In fact there are very few camps and are located or south or north of the archipelago, while there are waves throughout the area.